I spent an amazing couple of hours in the library at the Natural History Museum yesterday. I was on the trail of James Sowerby whose 'English Botany' provided the illustrations for the Observer's Book of Wild Flowers. It is a time trail -- I used the Observer's Book when I was about 11 years old to find the names of the flowers that I picked, pressed and stuck into an album. Finding the book again decades later, I read the Preface and found there the link to Sowerby. A google search showed that Sowerby had made drawings and engravings from 1790 onwards. The first edition of English Botany came out in 1801 and the 3rd in 1848. The search also showed that the originals are in the Natural History Museum Library - just a tube ride away! A few more searches and emails led me to the Reading Room and 4 enormous red leather-bound boxes that had been brought out on a trolley for me to see. Inside were large sheets of thick paper, deckled brown around the edges. 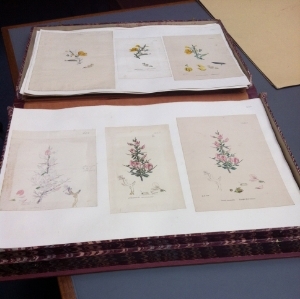 Each flower had a sheet on which were stuck three smaller sheets: an original drawing, the engraving for the first edition and a litho print for the third edition. What treasure! The original drawings were made in pencil, the colours added in watercolour, just enough for the colouring of the engravings. 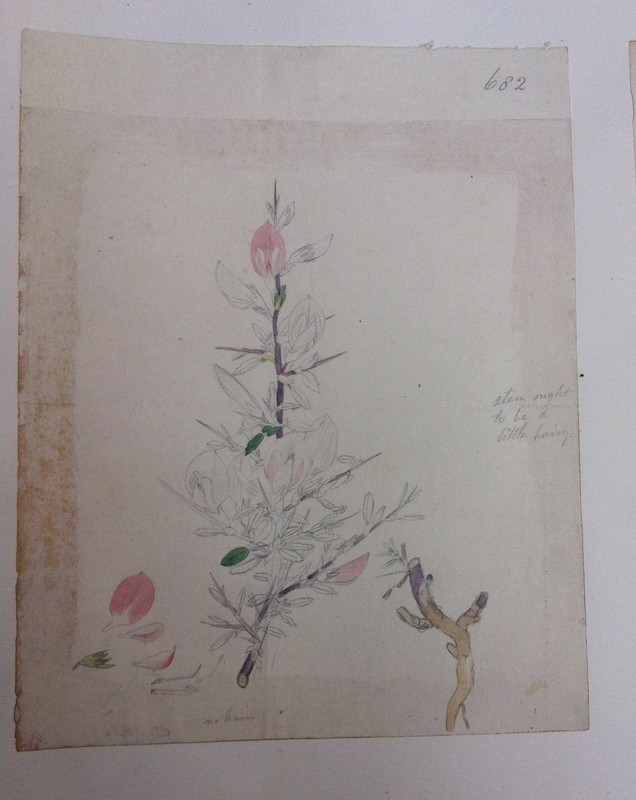 Exquisite delicate drawings, with notes, of places where the flower was found or who found it. Some had grumpy comments on some had little hand made packets with seeds inside - stories suggesting themselves from over two hundred years ago. I'll be going back. And I'll be forging a trail of inspiration for my artwork with a sense of awe and gratitude -- that Sowerby and his family began this work 224 years ago, that the Observer's Book gave me my first unknowing access to it in the 1960s, and that today it was so easy for me to go and see it physically.